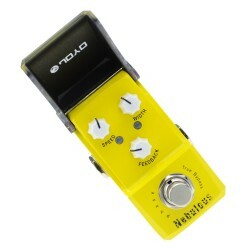 The Irontune mini pedal board tuner is a high precision guitar pedal tuner in the most compact design and can be used for guitar or bass. The advanced technology has an accuracy of +/- 1cent and reacts really fast. The semi-transparent flip-top design is different than the other Ironman pedals and clearly let the display shine through. 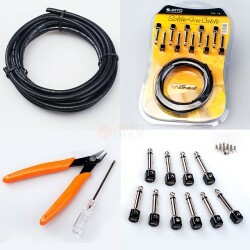 The illuminated LED display is easy to see in any light condition. 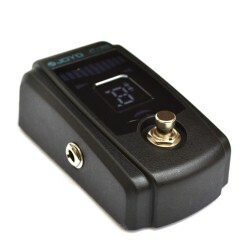 The Irontune brings tuning precision and high sensitivity together in an incredibly small enclosure. A True Bypass circuit minimizes signal loss and you can see the tuning through the transparent flip top lid ! The advanced technology has an accuracy of +/- 1cent and reacts really fast. 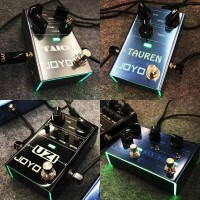 The semi-transparent flip-top design is different than the other Ironman pedals and clearly let the display shine through. The illuminated LED display is easy to see in any light condition. 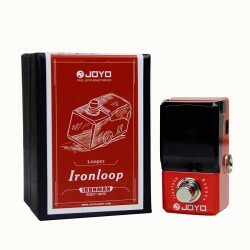 The Irontune brings tuning precision and high sensitivity together in an incredibly small enclosure. A True Bypass circuit minimizes signal loss and you can see the tuning through the transparent flip top lid ! The Irontune will happily tune almost anything you ask it to! Five string bass, no problem, acoustic guitars, no problem, it doesn't even waver when it comes to extended range guitars. 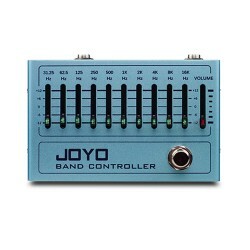 A solid tuner that won't let you down. 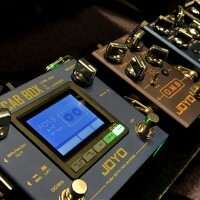 Plus it takes up barely any room on your pedal board, so what's not to like? Try one today!!! 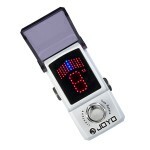 Product InformationJOYO digital mini clip on tuner with backlight is designed for tuning chromatic..
JOYO clip on guitar tuner metronome with colour display for chromatic guitar bass ukulele violin. Ea.. 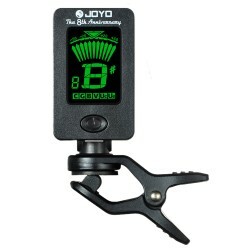 The JOYO Cobra tuner uses the latest software programming to tune amazingly fast and accurately with..